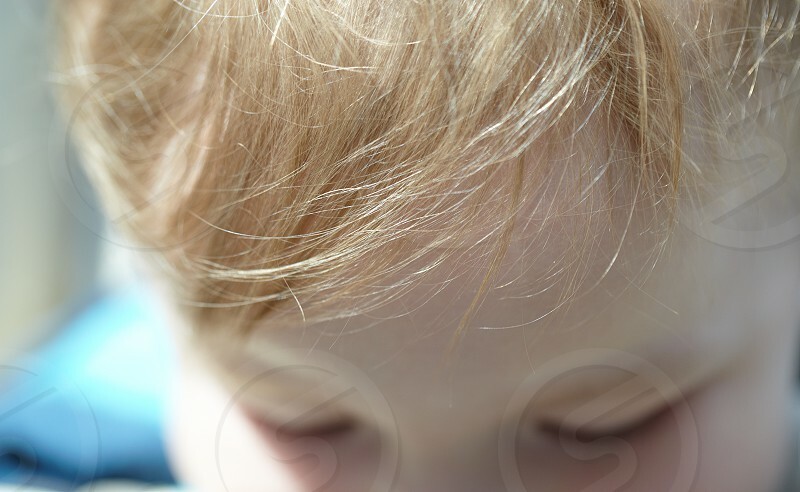 Very tender portrait of the little blonde boy with closed eyes, closeup of hair. Natural light, shallow DOF. This shot was made in the supermarket.